Here is a map shows territory of Russia. free map of Mikhaylovsk и OziExplorer calibration for Garmin. detailed map of Pelagiada 1 cm to 1 km for you. detailed map of Beshpagir 1 cm to 1 km for you. interesting map of Tashla и OziExplorer calibration this. interesting map of Staromar'yevka for gps. actual map of Podgornyy 1 cm to 1 km displayed. free map of Petropavlovka this. free map of Novaya Kugul'ta with gps calibration here. interesting map of Nagornyy with gps calibration for you. free map of Nadezhda calibrated displayed. topographic map of Lugovoy for Garmin. map of Lisichki 1 cm to 1 km for Garmin. actual map of Krasnoye with gps calibration download for free. map of Kozhevnikov free download. topographic map of Komintern calibrated free download. topographic map of Kniga free download. 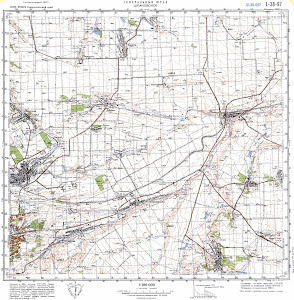 interesting map of Kizilov 1 cm to 1 km download for free.